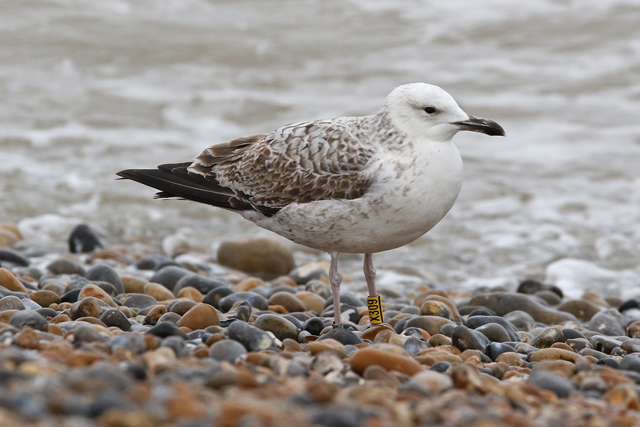 Another Saturday, another yellow-ringed German gull. Jamie P and I started off the day in London. 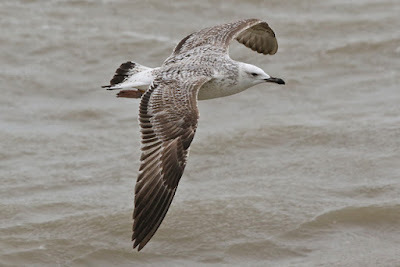 My first visit was Rotherhithe where there was a 1st-winter Yellow-legged Gull by the Hilton Hotel early morning though Thames Barrier Park (like last weekend) was poor with just a couple of Yellow-legged Gulls. 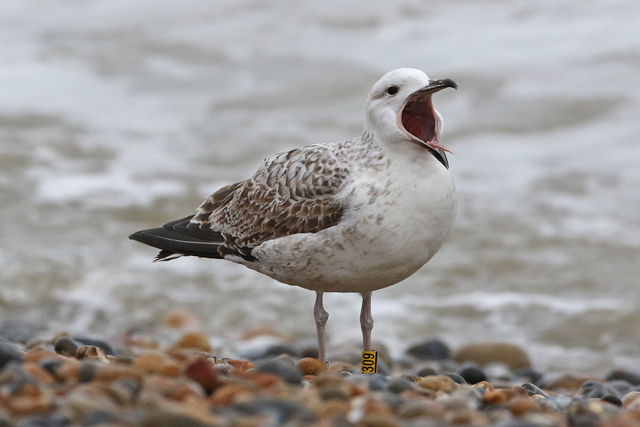 On our journey out of London, Jamie P and I made brief stops at Thamesmead and Dartford which only produced an adult summer Mediterranean Gull along Bob Dunn Way, before unsurprisingly ending up at Dungeness early afternoon. Having only just missed a Caspian Gull at the fish hut, it was time to head down to the fishing boats for the afternoon. 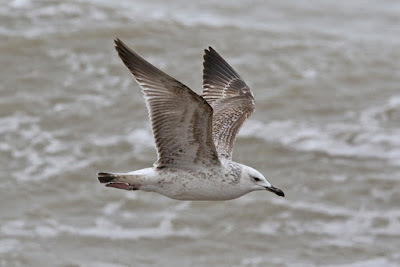 Very quickly, a Caspian Gull was picked up along the beach, and we tried to approach it. For some reason or another, things began rather frustratingly with this first-winter bird being a bit skittish and spending a lot of time on the water without too much interest in the bread. However, when it got up from the water when we'd approached a bit closer, it was another yellow-ringed bird! This time, it was X309 and had been ringed as a chick at Grabendorfer See, Brandenburg on 6th June 2016 before being seen at Boulogne-sur-Mer, Pas-de-Calais, France on 6th December 2016. There seem to have been a lot more of these German birds about this year - whether it is because there have been 90 more ringed in 2016 to 2015 (370 vs 280) or just because last year's young have dispersed further west this year, who knows. Anyway, X309 was a really nice bird and without doubt the best of the three German birds I've seen this year!